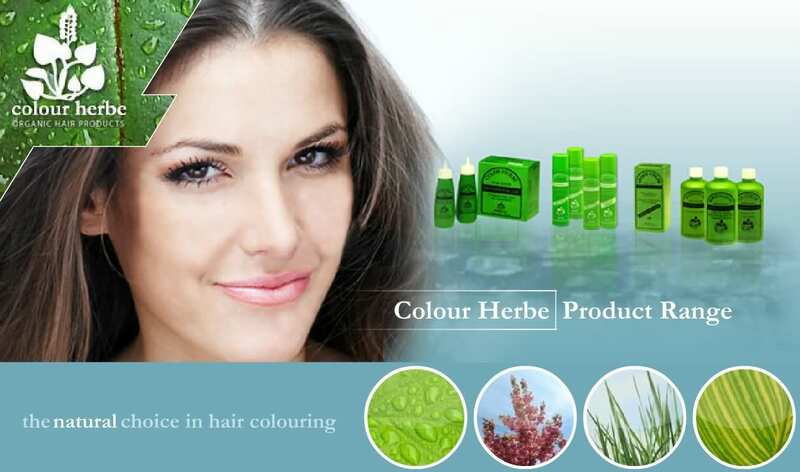 ColourHerbe has been trusted by millions all over the world since it was launched in the 1970s by Michel Albergo.Wanting to devise a range of gentle hair colourants for his family, Mr Albergo sought his inspiration from his extensive experience of herbal extracts and their power to naturally condition the hair. Realising that hair colouring did not require the aggressive power of Ammonia to rapidly swell open the hair cuticle, his was a gentler approach, choosing to gently yield the hair cortex open in order to deposit the colour pigments. This he achieved by combining hydrogen peroxide with plant oils, thereby creating a pH environment that allows the colour pigments to naturally, tone or replace, those already existing in the hair’s cortex. The result – long lasting, beautifully toned shiny hair that is maintained without the use of silicone – based after-care products. The delicate hair cuticle is not damaged by Ammonia in the colouring process and so quick fix, with silicone-based conditioners are not required. The hair is simply maintained with Aloe Vera – based shampoo and conditioner, free from SLS and parabens. We promise that ColourHerbe will deliver the range and flexibility of hair colour that will certainly match and probably exceed any other hair colour range. We promise that ColourHerbe will deliver a gentle but very effective permanent hair colour to your hair whether it is pre-coloured, uncoloured or grey, without the aggressive irritating nature of the Ammonia based colour systems. We promise that colouring hair can be achieved with naturally-sourced ingredients and without damaging the natural structure and will impart to your client’s hair a very healthy look and feel. We promise that the ColourHerbe experience, without noxious smells will deliver ‘a breath of fresh air experience’ for the salon professional and the clients. We promise that ColourHerbe will give your salon a USP that will attract clients from outside your normal catchment area, and that ColourHerbe clients become very loyal. We promise you that you will receive the support you require, when you take on ColourHerbe.